UPDATE: ABC reports Angelou was found dead in her home by her caretaker early this morning. 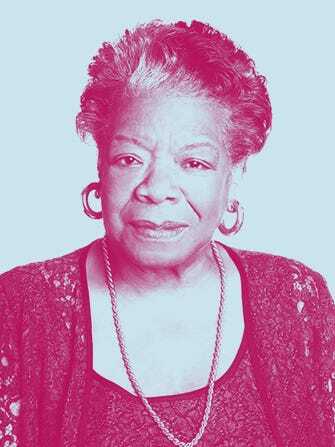 Angelou's publicist Helen Brann told the news outlet the celebrated author had "been very frail and had heart problems, but she was going strong, finishing a new book." Her son Guy Johnson elaborated: ""Her family is extremely grateful that her ascension was not belabored by a loss of acuity or comprehension. She lived a life as a teacher, activist, artist and human being. She was a warrior for equality, tolerance and peace. The family is extremely appreciative of the time we had with her and we know that she is looking down upon us with love," he said in a statement.